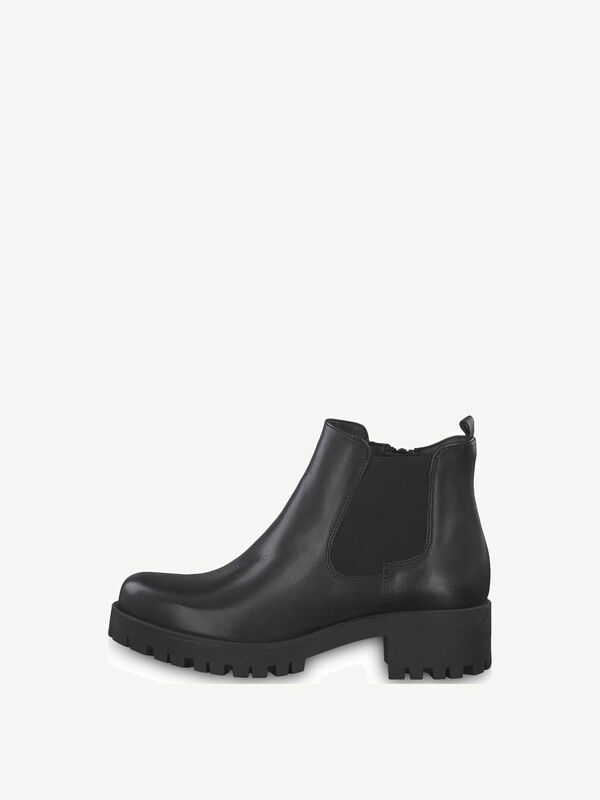 Cocco 1-1-25435-21: Buy Tamaris Chelsea boots online! These classic gusset boots have the potential to be the new favorite it-piece for every woman. Quality stitching and the stretch material inserts in the combinations of the same color complete the simple and dark design of these boots. The timeless appearance and the high-quality leather outer material are just some of the reasons to find space in your shoe cabinet. The zipper and the 11.5-cm high shaft provide extra grip and comfort during use. TAMARIS gusset boots have a true combination ability and they can accompany and fascinate their owner in any occasion.